Part cultural history, part sociological critique, and part literary performance, Panic Diaries explores the technological and social construction of individual and collective panic. 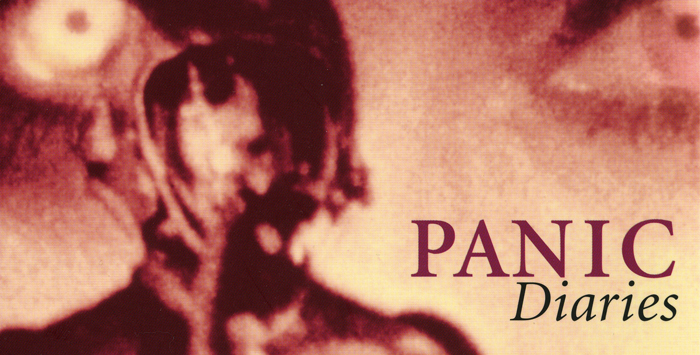 Jackie Orr looks at instances of panic and its “cures” in the twentieth-century United States: from the mass hysteria following the 1938 radio broadcast of H. G. Wells's War of the Worlds to an individual woman swallowing a pill to control the “panic disorder” officially recognized by the American Psychiatric Association in 1980. Against a backdrop of Cold War anxieties over atomic attack, Orr highlights the entanglements of knowledge and power in efforts to reconceive panic and its prevention as problems in communication and information feedback. Throughout, she reveals the shifting techniques of power and social engineering underlying the ways that scientific and social scientific discourses—including crowd psychology, Cold War cybernetics, and contemporary psychiatry—have rendered panic an object of technoscientific management. Orr, who has experienced panic attacks herself, kept a diary of her participation as a research subject in clinical trials for the Upjohn Company's anti-anxiety drug Xanax. This “panic diary” grounds her study and suggests the complexity of her desire to track the diffusion and regulation of panic in U.S. society. Orr's historical research, theoretical reflections, and biographical narrative combine in this remarkable and compelling genealogy, which documents the manipulation of panic by the media, the social sciences and psychiatry, the U.S. military and government, and transnational drug companies. Biomedicalization: Technoscience, Health and Illness in the U.S.
Pp. 353-379 in Adele E. Clarke, Laura Mamo, Jennifer Fosket, Jennifer Fishman, and Janet K. Shim, editors. Durham, NC: Duke University Press, 2010. Pp. 547-556 in John R. Hall, Laura Grindstaff, and Ming-Cheng Yo, editors. London: Routledge, 2010. Critical Sociology Vol. 30, No. 2 (Spring 2004): 451-482. [Reprinted in Biofears and Environmental Anxieties : Making Threats. Pp. 47-70 in Betsy Hartmann, Banu Subramaniam, and Charles Zerner, editors. Pp. 151-176 in Roddey Reid and Sharon Traweek, editors. New York: Routledge, 2000. Pp. 32-51 in Manuel Talens, translator. Madrid, Spain: Universitat de València, Institute de la Mujer, 1995. Social Problems Vol. 37, No. 4 (November 1990): 460-484.